Maura Healey is up for re-election in 2018, and some think she's too much a crusader on the federal front. BOSTON — Maura Healey doesn’t wake up every morning thinking about ways to sue Donald Trump, she says – though to her critics and supporters alike it can seem that way. In the year since Trump was elected, few more zealous legal foes of the Republican president have emerged than Healey, the Democratic attorney general of Massachusetts. 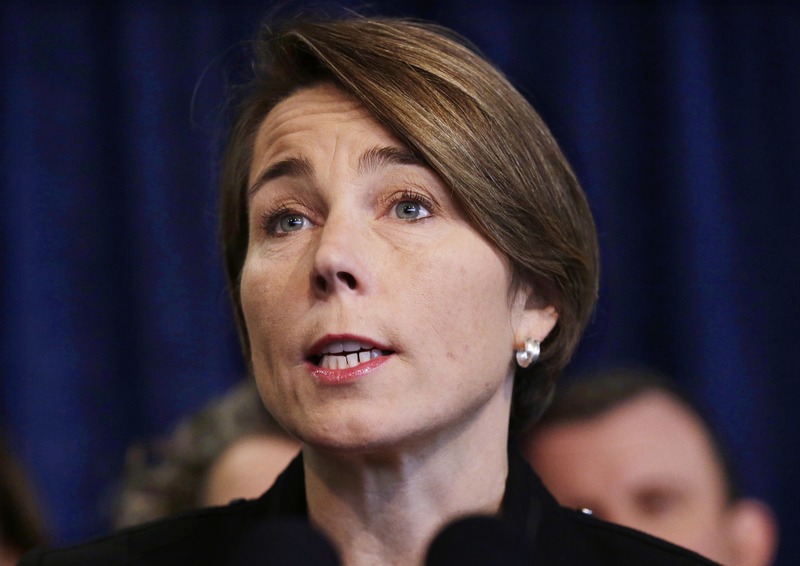 Massachusetts Attorney General Maura Healey participated in more than 20 lawsuits against Trump administration actions. Her Republican rival says her focus is misdirected. She has led or joined dozens of lawsuits and legal briefs targeting a raft of Trump policies, from his travel ban to his decision to roll back an Affordable Care Act requirement that employers include birth control coverage in health plans. In that time, she has also emerged as one of the leaders of a cadre of Democratic, blue-state attorneys general who have employed their states’ legal clout as a weapon against Trump’s conservative agenda. Her office’s court filings have often been linked with or mirrored those of Eric Schneiderman in New York, Xavier Becerra in California and Bob Ferguson in Washington, among others. But her rapid-fire lawsuits have drawn criticism from political rivals who see it more as partisan grandstanding than dealing with law-and-order issues facing Massachusetts residents. “If you ask any working family in the commonwealth if they would rather have their child solicited by a drug dealer in their neighborhood or have the Trump administration sued over an obscure environmental regulation, they would hands-down want to make sure their family is safe,” said Dan Shores, a Boston-based attorney who recently announced plans to run against Healey as a Republican. Healey is running for election to a second term in 2018. Less than a week after Trump’s win in November 2016, Healey announced the creation of a hotline following what she said were reports of harassment of racial, ethnic and religious minorities, women, LGBTQ people, and immigrants since Election Day. Since then, her pace hasn’t eased. By her count, she said, she has led or participated in more than 20 lawsuits. The efforts by Healey and other attorneys general and advocacy groups have yielded mixed results, with many of the lawsuits still unresolved. But Healey isn’t deterred. She said she will continue to challenge Trump’s policies if they are illegal and unconstitutional. “If state AGs aren’t doing it, who’s going to do it? The Department of Justice isn’t going to do it,” she said.